An epic journey through the archipelagos, pristine beaches, ancient cultures and traditional cuisine of Sardinia! Spellbinding beauty around every corner. Sardinia is one of the Mediterranean’s best island-destinations. The island simply has it all: an extremely proud and unique local identity, a rich cuisine, unforgettable beaches, and dramatic natural scenery both above the ground and deep beneath the surface. If you’re looking for a mix of adventure, relaxation and deeply cultural experiences – Sardinia will not disappoint. This will be the journey of a lifetime! Arrive FCO airport in Rome. Private car transfer to Trastevere, Rome for a great welcome lunch of Roman specialties! Take some time to explore the historic alleys of beautiful Trastevere before heading to Civitavecchia where we’ll embark on our nighttime journey to Cagliari, Sardinia. This morning, we’ll arrive in Cagliari, Sardinia’s capital and most populous city, inhabited for 5,000 years! Drop your bags and self-explore the winding medieval streets, defensive towers (some with knockout views of the coast); and the ornate 13th-century Saint Mariàs Cathedral. Add in a few pit stops in the area’s cozy bars, restaurants, and shops and you’ve got a nice way to spend the afternoon. We’ll enjoy dinner by the sea at dusk, when the environment is most magical. 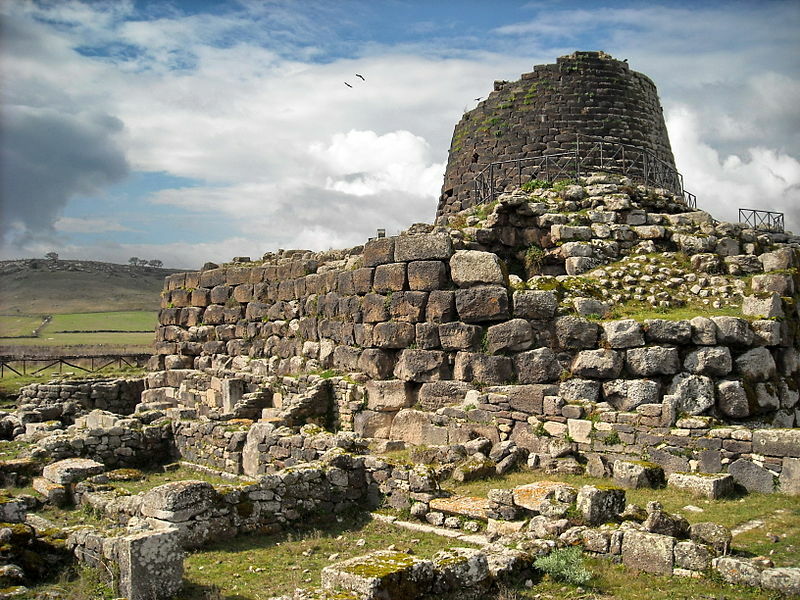 After breakfast we travel to Su Nuraxi, a UNESCO World Heritage site and the best example of an extensive Nuragic village on Sardinia. From 1500 BCE to the Punic Wars in the 3rd and 2nd centuries BCE, the Nuragic peoples were the dominant culture on the island. They left behind more than 7,000 nuraghi, beehive-shaped stone fortresses surrounded by smaller hive-shaped buildings. Then we’ll travel to Gola di Gorropu (Sardinia’s Grand Canyon) for an exciting hike through Europe’s deepest canyon. This is an experience in the deepest and wildest part of Sardinia and we’ll experience the ancient culture of this land for the night. You’ll sleep in a traditional stone and wood sheepfold or under the stars to admire a unique sky with zero light pollution. 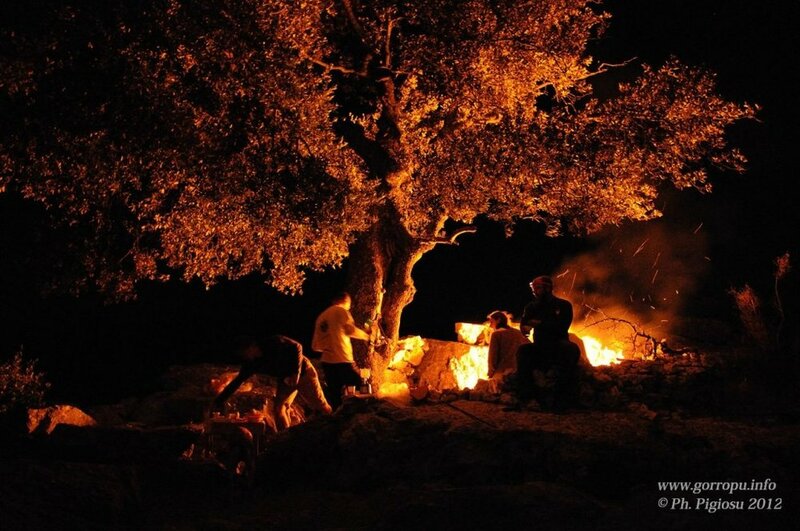 We’ll spend the night around the fire and enjoy genuine products of the island such as meat, carasau bread, cheeses, hams, cured meats, vegetables and fruit. We’ll taste the wine (Cannonau) of Sardinia as well! After breakfast this morning, we’ll make an easy trek back to base camp. Experiencing the sunset, nighttime and dawn in this place will be with you forever. This afternoon we’ll drive to the beautiful coastal town of Cala Gonone where you’ll have time to freshen up and self explore this incredible seaside town. Embark on a full day boat tour of the Gulf of Orosei. This is one of Sardinia’s most spectacular coastal regions. The hidden beaches and coves are impossible to reach by foot. We’ll visit Cala Mariolu, Cala Luna and Cala Biriola where you’ll stay for one hour and a half hours in each location. 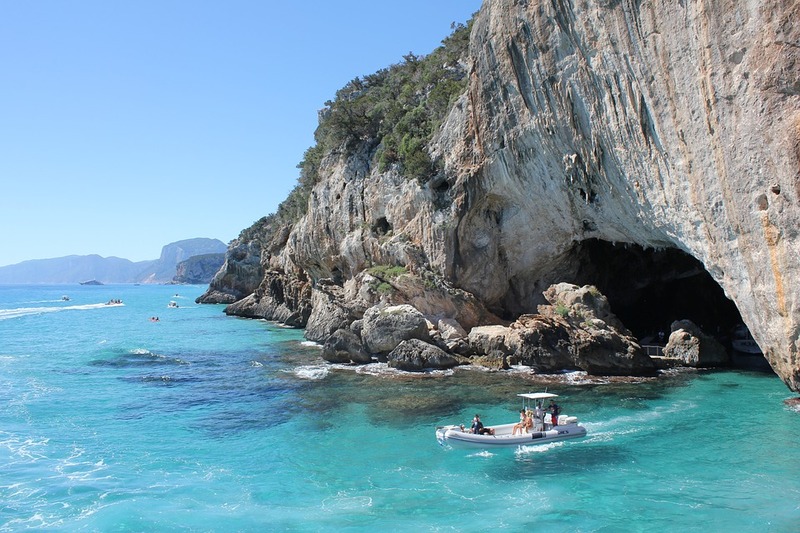 We’ll snorkel Cala Goloritze and Piscine di Venere and visit grottos and caves. We may even spot dolphins along the way! Today we’ll head to Alghero in the north western corner of Sardinia. Take some time to walk Alghero’s Seafront before we descend into Neptune’s Grotto - a superb stalactite sea cavern reachable via a 654-step rock-cut staircase! This morning we’ll head to world famous Costa Smeralda! 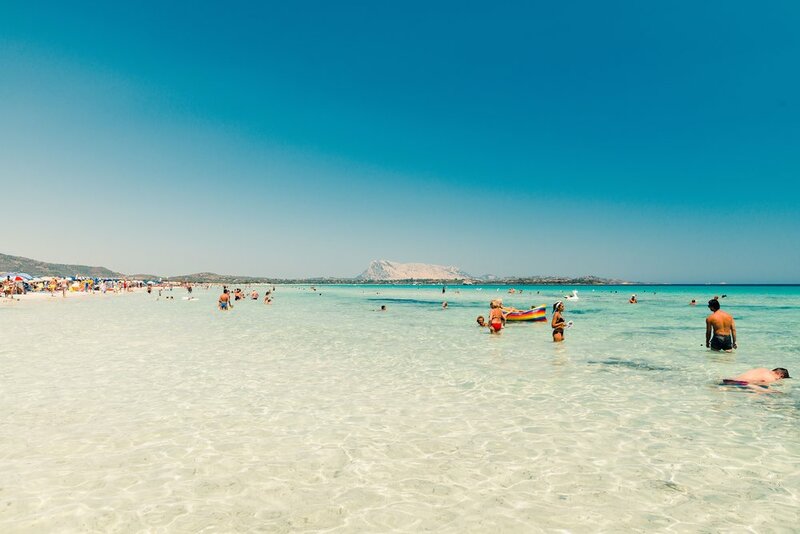 Take the day to self explore and recoup your strength with a visit to the pristine beach of San Teodoro. 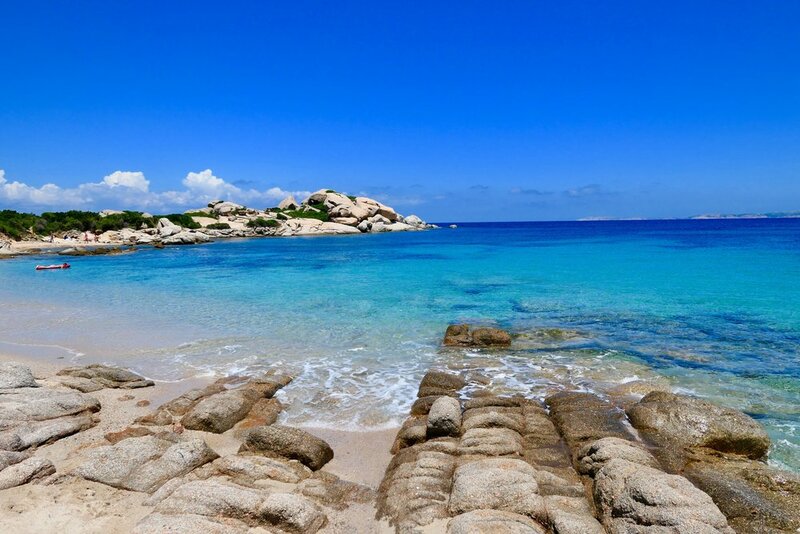 Today we’ll head up north to the remote La Maddalena archipelago! After a brief ferry ride, we’ll arrive on the green island of Caprera, declared a natural reserve for the many species of birds and animals of Sardinia. After a brief stop at the hilltop home of Italian hero Giuseppe Garibaldi we’ll hike downhill, through red granite chasms (unique to this part of the island) until we reach the oasis of Cala Coticcio. After some time swimming and enjoying this pure paradise, we’ll head back to San Teodoro. After breakfast this morning, we’ll board a 1:00pm ferry from Olbia back to Civitavecchia. We’ll arrive at 6:30pm so, depending on your departure flight, you may either be taken directly to the airport or I can help you find accommodations in Fiumicino for the night and take you to the airport in the morning! What’s Included: Private airport transfers and journey transportation by van, 3 ferry crossings, 13 incredible meals, all journey accommodations, entry and activity fees.